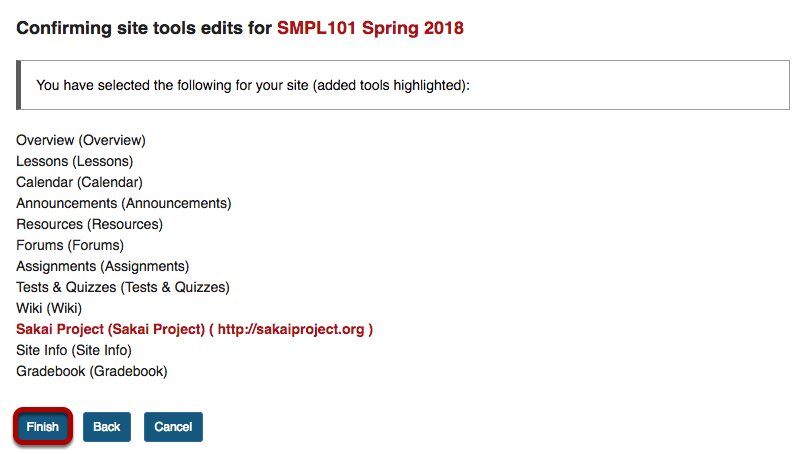 Sakai Community DocumentationSakai 19 User Guide (English) Web ContentHow do I create a Web Content link to a web site? 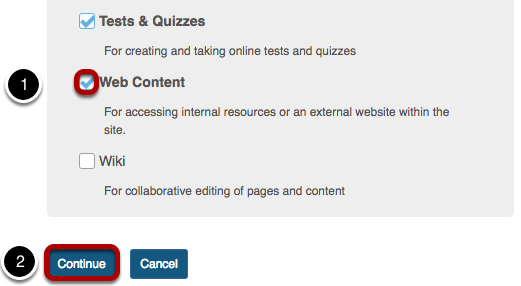 Place a check mark in the box next to the Web Content tool. Zoom: Tool customization screen with Title and Source (URL) text entry highlighted and Continue button highlighted. Enter the Source URL for the web site to go to. Review the updated tool highlighted in the list of tools and click the Finish button to save changes or click the Back button to return to the tool edit screen. Click the Web Content (e.g. 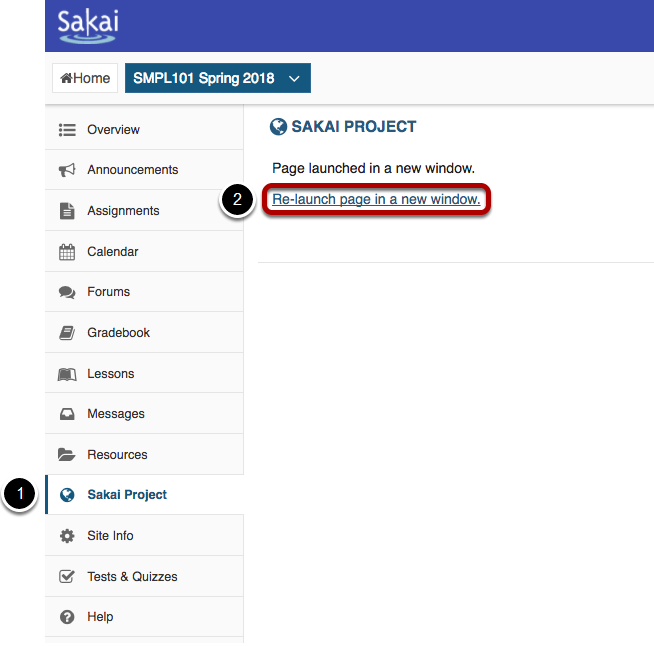 Sakai Project) menu link to view the website. Next: How do I create a Web Content link to a folder in Resources?